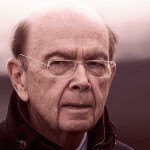 Ahead of Tuesday’s Supreme Court arguments in the census citizenship question case, I went through the timeline of everything that we know about how and why the question was added, starting with Secretary Wilbur Ross’ initial demands for the question soon after his confirmation and continuing through the formal Justice Department request that was sent to the Census Bureau in December 2017. Thanks to a year of legal wrangling over the question, we have access to internal emails, memos and depositions that give us insight into exactly what was going on. The Texas Senate last week passed legislation that would stiffen the penalties for those who provide false information on voter registration forms — a move that civil rights advocates say could affect those who make honest mistakes in filling out the applications. Under the new legislation, those errors would be a state jail felony rather than a class B misdemeanor. The bill would also make voter assistance efforts more burdensome by requiring people who help voters in need of assistance — such as those who are elderly or disabled — to fill out new forms. The bill now heads to the Texas House where it must pass through committee before being taken up by the entire chamber. Tennessee meanwhile is advancing legislation that will make voter registration drives more onerous. Under a new GOP bill, if a registration organization turns in too many applications deemed “deficient” it could be fined, while violating other rules around registration drives could land paid workers in jail. The bill passed the state House last Monday. Republicans in the U.S. House last week criticized the ongoing investigations by Oversight Committee Democrats into state-level voter suppression allegations. The Dems leading those investigations shot back at the GOPers. So far, Georgia has begun complying with the Dems’ records request and Kansas election officials have committed to producing the requested documents as well. Texas is resisting turning over the records requested by Dems. The chaos behind the scenes that resulted in Georgia’s very long polling place lines last year is becoming known, thanks to documents produced last week for a public records request. They show election officials ringing the alarm after technology failures at certain election sites. One email reported a “very long wait” that prompted people to leave the line — because the polling place had only two felt pens to fill out paper ballots. 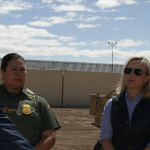 Ahead of the Census citizenship arguments in front of the Supreme Court Tuesday, lawmakers of both parties called upon the court to release the audio from the hearing on the same day. Chief Justice John Roberts denied that request, meaning it will not come out until Friday (a transcript should be available within a few hours of the hearing). Missouri’s GOP legislature is looking at unraveling a ballot initiative passed last year that, among other things, overhauled the redistricting process. The initiative would have legislative maps be drawn by a demographer put forward by the state auditor and require that those districts be competitive. The new bill would put back on the ballot a proposal eliminating the demographer’s role and creating a redistricting commission appointed by the legislators instead. All Florida counties will be required to offer Spanish-language ballots, thanks to a federal judge’s ruling and an order from Gov. Ron DeSantis (R). Previously, only select counties offered the ballots, and a judge said last year that the failure of the other counties to do so was a Voting Rights Act violation. Rather than wait for the litigation to unfold around making that change permanent, DeSantis ordered his secretary of state to go through the rule-making process to carrying out the change. 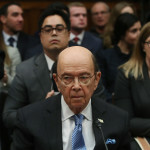 It’s still a mystery exactly why Commerce Secretary Wilbur Ross wanted a citizenship question added to the 2020 census — a decision the Supreme Court will review in oral arguments on Tuesday. Special counsel Robert Mueller’s report on his obstruction inquiry into President Trump is like the TV show “Friends”: everybody’s got a favorite episode. 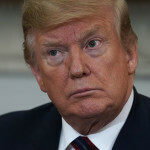 President Trump, in his attempts to meddle with the Russia probe, was at least partially motivated by the fear that investigators might uncover conduct that Trump himself believed could be perceived as criminal, special counsel Robert Mueller said in his redacted report. Days after the FBI privately revealed to Senate Intel Chairman Richard Burr (R-NC) and other key congressional leaders its investigation into the Trump campaign’s Russia links, Burr “appears to have” provided the White House information on the probe, special counsel Robert Mueller said in the redacted report released Thursday. 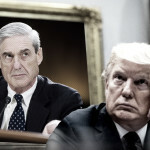 Special counsel Robert Mueller’s redacted report confirmed New York Times reporting in 2017 that investigators had obtained the original letter President Trump drafted with Stephen Miller to fire James Comey. Sources had described it to the Times as a “screed.” It was never sent. Thursday’s report provides the opening of the final version of the Miller-drafted letter, which he and Trump had worked on at Trump’s golf resort in New Jersey. Trump read the opening paragraphs of the letter to his advisors and told them his decision to fire Comey was final. Nonetheless, White House Counsel Don McGahn sought to slow walk the decision. When they were back in Washington, Attorney General Jeff Sessions and Deputy Attorney General Rod Rosenstein were brought into the loop. Rosenstein was tasked with writing a recommendation that Comey be fired — a recommendation that focused on his handling of the Hillary Clinton investigation. Trump however insisted against his advisors’ counsel that a reference to the Russia probe still be included in the cover letter announcing the termination that was released with Rosenstein’s recommendation. 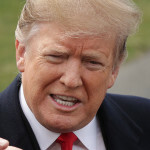 President Trump might have successfully meddled in the investigations of Russian interference in the 2016 elections had his aides not continually refused to go along with his requests. As Josh already pointed out, it’s worth taking a close look at the language Barr used to clear the Trump campaign of collusion with Russia’s hacking operation and the dissemination of that hacked material. It’s different in subtle ways from how Barr gave the all clear — “no collusion” — when it came to Russia’s social media disinformation campaign.